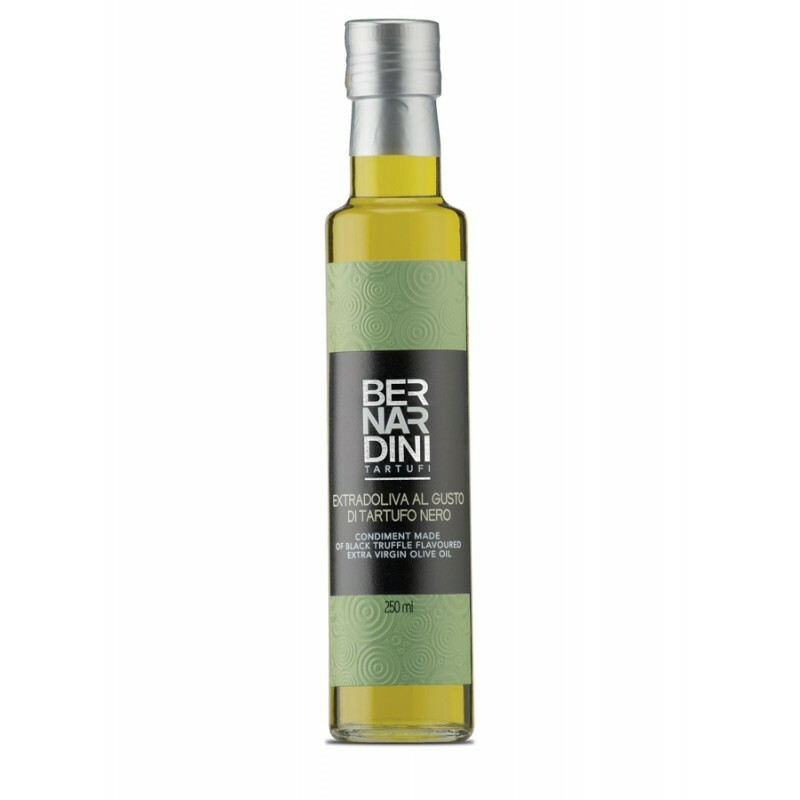 COLOR: Color yellow to green, typical of the extra virgin olive oil. INGREDIENTS: Extra virgin olive oil, summer truffle ( Tuber aestivum Vitt. ) 0,5%, flavour. TASTE: Delicate flavour, enriched by the noble black truffle taste. PRESERVATION: 18 Months room temperature Store at room temperature far from direct light and heat sources.